Dan Walter, owner of Walter Electrical Contractors, Inc., is a Master Electrician with solid business experience. He founded Walter Electrical in 1991 and has built it into a company that is respected in the community and called upon for electrical projects that vary in difficulty and scope. We pride ourselves on effectively planning and executing a variety of complex electrical projects. From start to finish our professional electricians will make sure your project is done right. At Walter Electrical, we have a strong track record with our clients, other contractors, and our loyal employees. We strive to be responsive, efficient, reliable and courteous. Providing the highest level of customer service and maintaining strong relationships with our clients and teams are the very heart of our business. We go the extra mile to deliver the highest quality because we respect our clients and we know the value of a job well done. To assist you with all commercial, industrial and residential projects, we have a staff that is knowledgeable, accommodating, and prompt and a fleet of full service trucks. We use high quality materials exclusively. 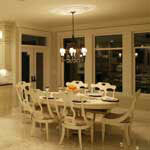 We are state licensed, bonded and insured--you can count on highly skilled electricians for each project. 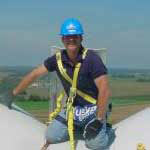 All of our electricians maintain a Class A Journeyman License with yearly continuing education credits. This allows us to keep up with code changes.